Publishing Addiction Science is a comprehensive guide for addiction scientists facing the complex process of contributing to scholarly journals. Written by an international group of addiction journal editors and their colleagues, it discusses how to write research articles and systematic reviews, choose a journal, respond to reviewers’ reports, become a reviewer, and resolve the often difficult authorship, ethical and citation issues that arise in addiction science publishing. 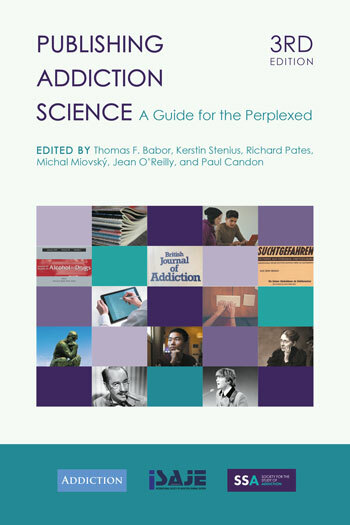 As a “Guide for the Perplexed,” Publishing Addiction Science helps novice as well as experienced researchers to deal with these challenges. It is suitable for university courses and forms the basis of the training workshops offered by the International Society of Addiction Journal Editors (ISAJE). Co-sponsored by ISAJE and the scientific journal Addiction, the third edition of Publishing Addiction Science gives special attention to the challenges faced by researchers from developing and non-English-speaking countries and features new chapters on guidance for clinician-scientists and the growth of infrastructure and career opportunities in addiction science.